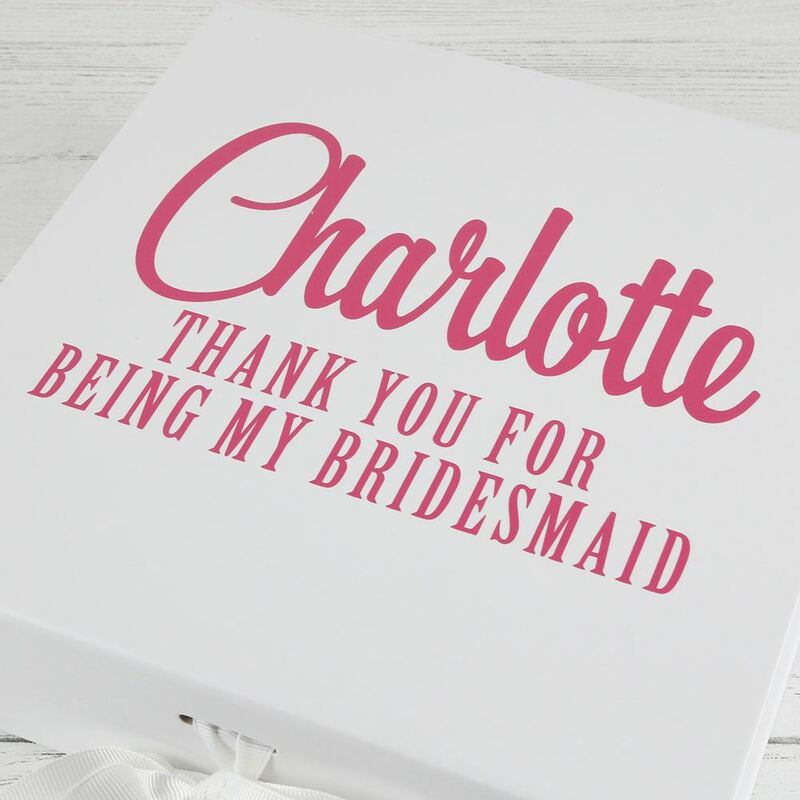 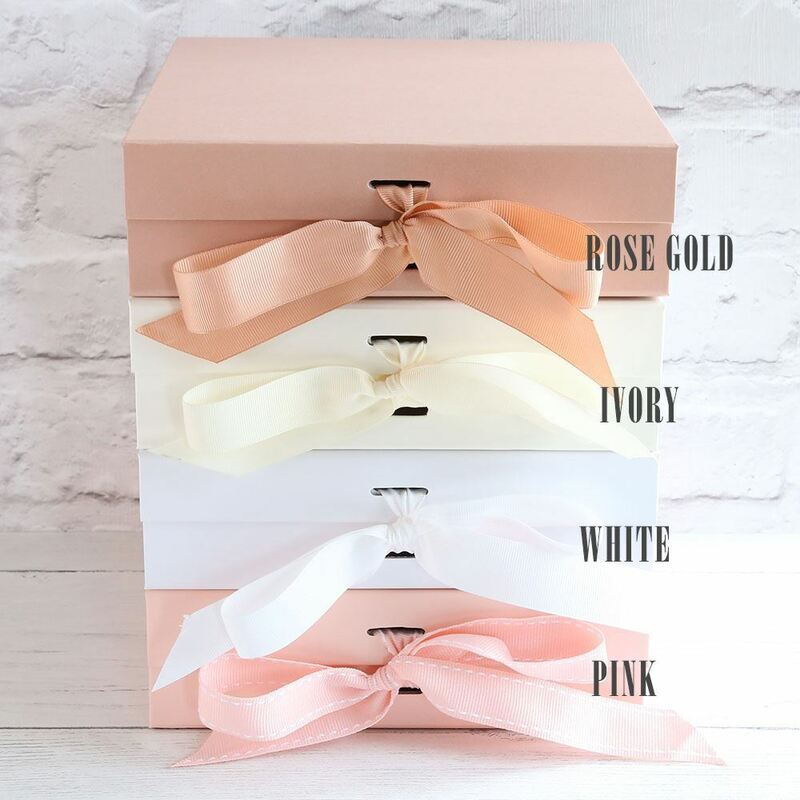 Our thank you boxes are the perfect gift for your bridal party on your wedding day. 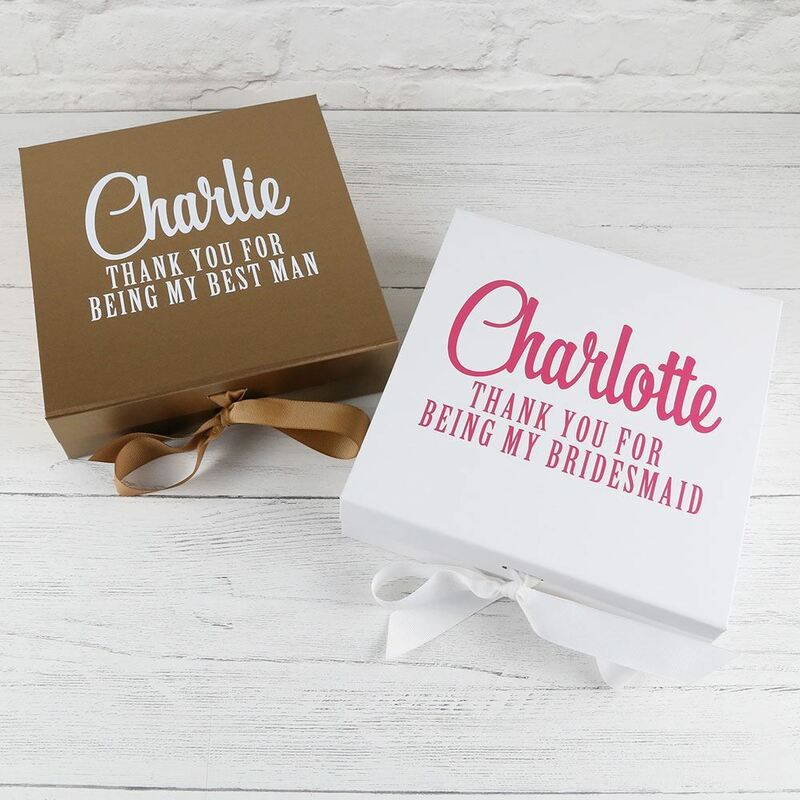 Our thank you boxes are the perfect gift for your bridal party on your wedding day. 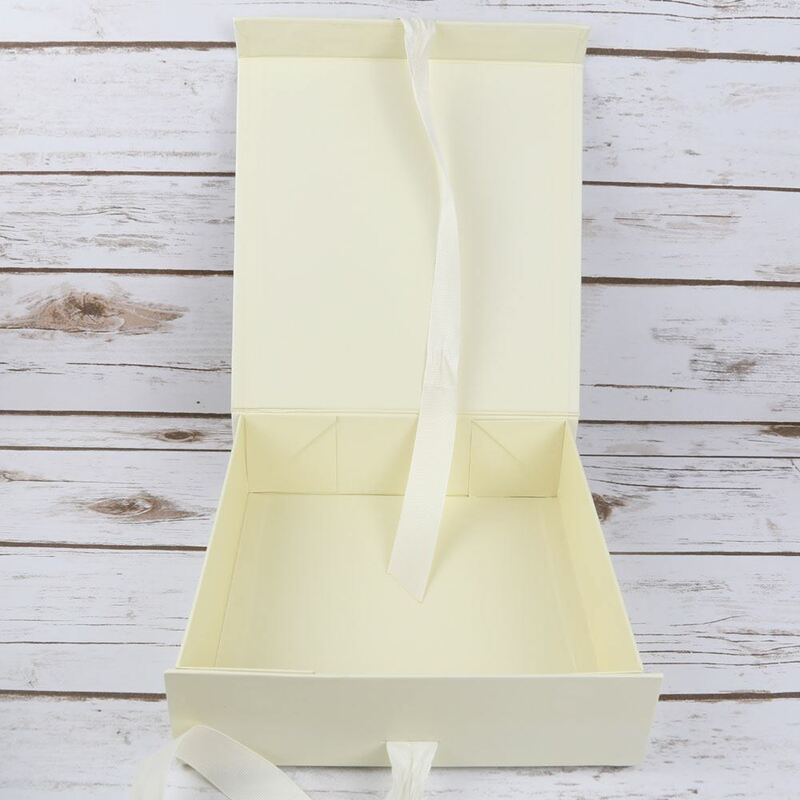 They make fantastic keepsakes and you can fill them with everything you need for getting ready like robes, glasses, emergency chocolate, face masks and small keepsakes. 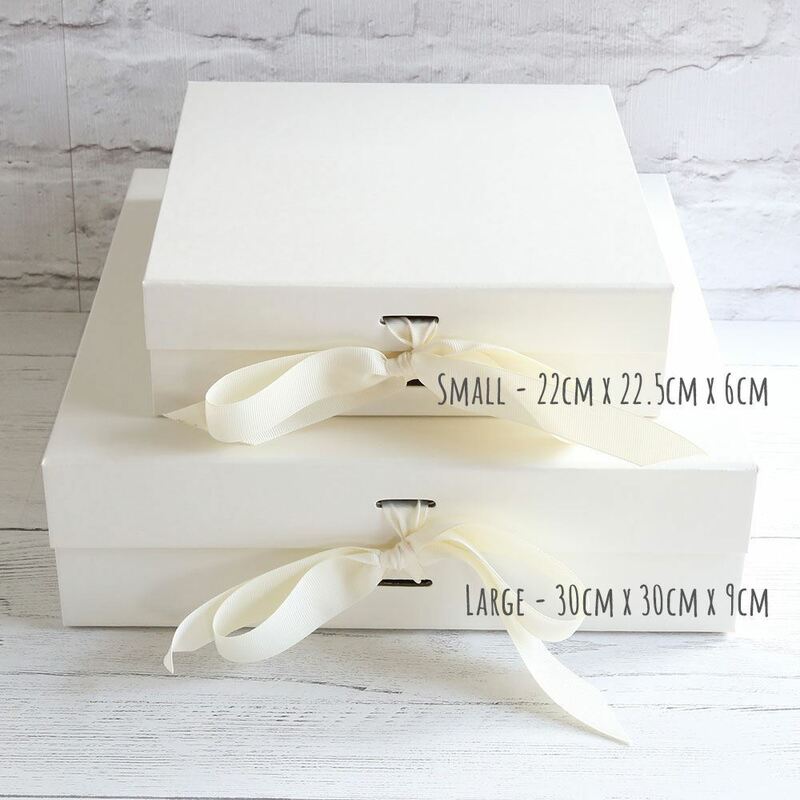 The box comes with the name of the person and title on the front of the box with the message "thank you for being my bridesmaid". 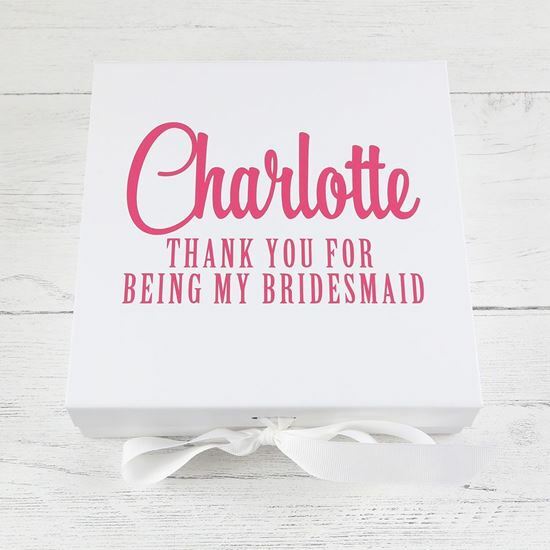 We can also change the titles for maid of honour, mother of the bride and anything else you require.